He slips into their homes at night and walks silently into bedrooms where women lie sleeping, unaware of the horrors they soon will endure. The precision of the killer's methods suggests he is a deranged man of medicine, propelling the Boston newspapers and frightened public to name him "The Surgeon." Cordell's careful façade is about to crack as this new killer recreates, with chilling accuracy, the details of Cordell's own ordeal. With every new murder he seems to be taunting her, cutting ever closer, from her hospital to her home. Her only comfort comes from Thomas Moore, the detective assigned to the case. But even Moore cannot protect Cordell from a brilliant hunter who somehow understands - and savors - the secret fears of every woman he kills. 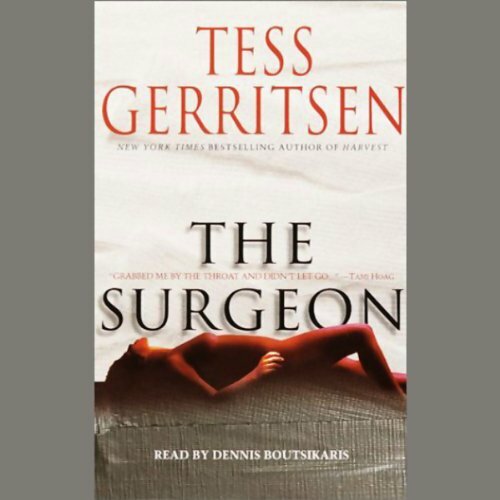 ©2001 Tess Gerritsen (P)2001 Random House Inc., Bantam Doubleday Dell Audio Publishing, a Division of Random House Inc.